Christians against Muslims, the Crusades that began in the 11th century were wars for control of the Holy Land. The Crusaders themselves were a hybrid of warrior and priest, defending the pilgrim, attacking the Infidel. These Military Orders were also the first multinational corporations, and until their eventual destruction and diminishment, the Knights Templar, the Hospitallers and the Teutonic Knights held unparalleled power, enough to threaten whole kingdoms and the Papacy itself. 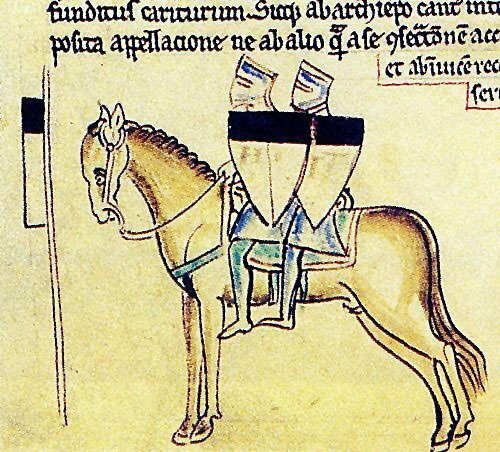 Excerpt: Life in the eleventh century was nasty, brutish and short. Most people lived and died a few miles from where they were born. Strangers were suspect and danger lurked everywhere. Who was in charge was a matter of opinion. Barons and local chiefs ruled as they wished. Those who would be king faced a skeptical and hostile world…we take the modern world for granted with its more or less stable patchwork of nation-states, each with its body of law and governance. But in the medieval period there was little in the way of a social safety net. Little to protect the citizen from the cold winds. Except the knights.